The Sir Skeleton Socks from Sock It To Me are an awesome pair of black ankle socks. 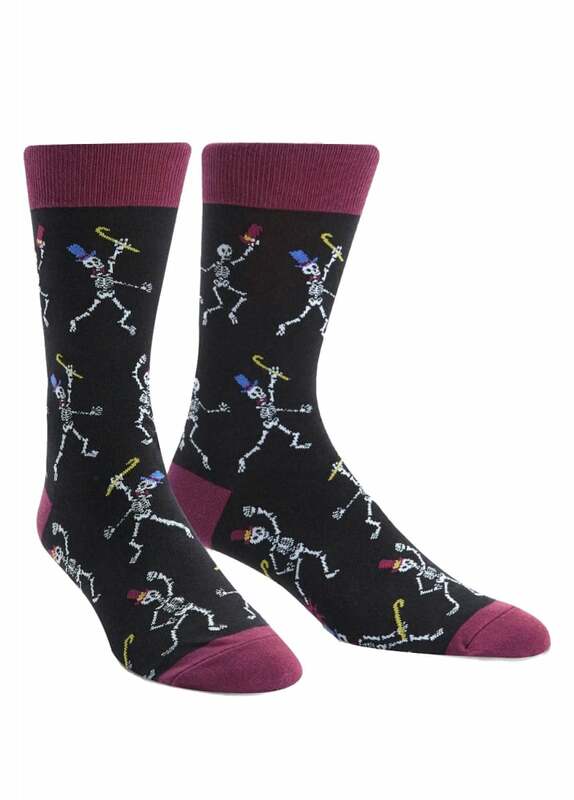 These alternative cotton socks have an all over print of dancing skeletons complete with top hats and canes. The socks also have a contrasting burgundy heel and toe.